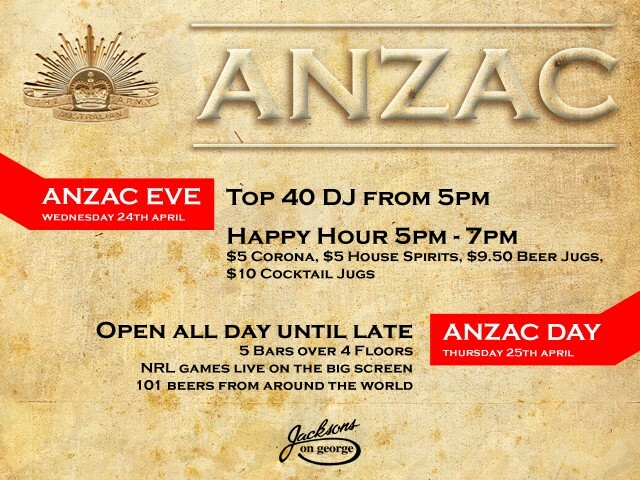 Before Anzac Day, enjoy the Aussie spirit at Jacksons on George. A Sydney icon, we've got DJ's from 5pm and Happy Hour from 5pm - 7pm. It's like TGIF on a Wednesday!